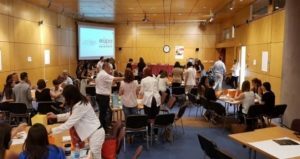 Τhe presentation of Eupa_next: Validation of Formal, Non-Formal and Informal Learning: The case study of Administration Personnel (Erasmus+ KA2:Strategic Partnership) to VET trainers took place on Friday, 29th June 2018 at MMC, Nicosia. The event had a duration of four hours. The Train the Master Examiner Workshop took place on Thursday, 18th of January in Cham, Germany. 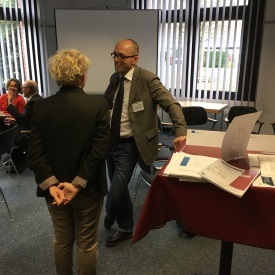 The workshop was hosted by Volkshochschule im Landkreis Cham and it had a duration of one day. Representatives from all the partners attended the workshop. During the workshop, all partners assigned a master examiner to present the assessment tool they had developed. 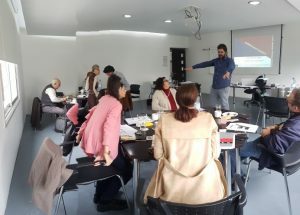 The main purpose of the workshop was for the partners to get familiar with the assessment tool and the grading system. 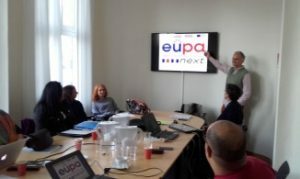 The 5th Transnational Meeting of the European Project EUPA_NEXT took place on Friday, 19th of January in Cham, Germany. The meeting was hosted by Volkshochschule im Landkreis Cham and it had a duration of one day. Representatives from all the partners attended the meeting. 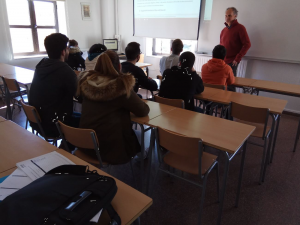 During the fifth transnational meeting the progress of the pilots as well as the planning of the assessments were discussed. The progress of the development of the ebooks was also presented and decisions were taken as far as translations are concerned. Deadlines were also set for the remaining activities until the completion of the project. 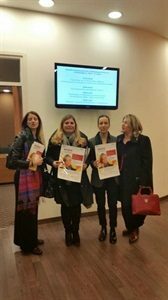 EUPA_NEXT was presented during the conference < Third Conference on funding Programmes from the Structural Funds and the European Union>. 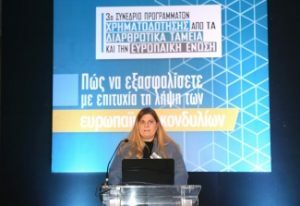 The conference took place on the 1st of February 2017 at the Hilton Park Hotel in Nicosia. Companies and other organisations that are active in the areas of tourism, technology, agriculture, training, as well as small-medium companies and start ups participated in the conference. The project EUPA_NEXT was presented by Ms Christiana Knais. 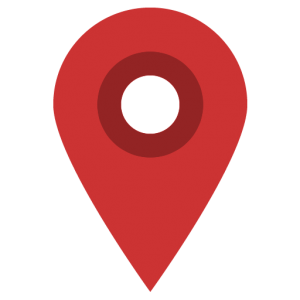 EUPA_NEXT is based on the application of European Tools in the area of Vocational Education and Training such as EQF and ECVET. During the conference hints and tips for submitting a successful application were also presented. EUPA_NEXT t is funded through ERASMUS+ , Key Action 2- Strategic partnerships for innovation and exchange of best practices in the area of Vocational Education and Training. The project consortium thanks IMH for the invitation. 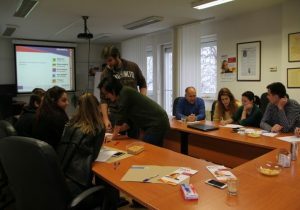 EUPA_NEXT was presented during the info day for ERASMUS+ that was organized by the Foundation for the Management of EU Lifelong Learning Programmes in Cyprus (IDEP) and the Cyprus Youth Organisation. 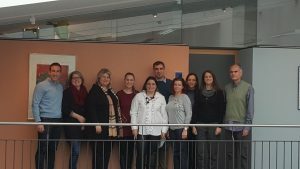 EUPA_NEXT project was presented in the Annual Meeting of the National Team of ECVET Experts with Multipliers from Erasmus+ Mobilities. The presentation was made by Volkshochschule im Landkreis Cham e.V. 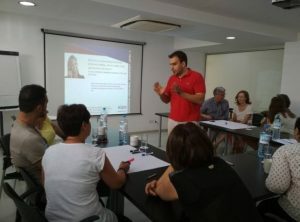 that is one of the partners of the project and it was addressed to VET providers in Europe as well as European Policy Makers. The meeting was held in Germany, at the National Agency in Bonn on the 10/11/2016. 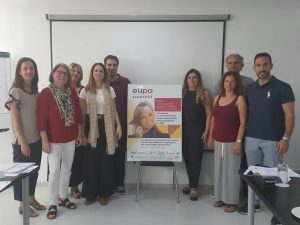 EUPA_NEXT project was presented in the KA2 UPPScience Meeting. The meeting took place in Brussels on the October of 2016 and it was organized by the University of Trondheim. The presentation was made by CIPFPM. Participants in the presentation were several VET providers in different European Countries.